Portable texture meter for rapid QA on the shop floor! 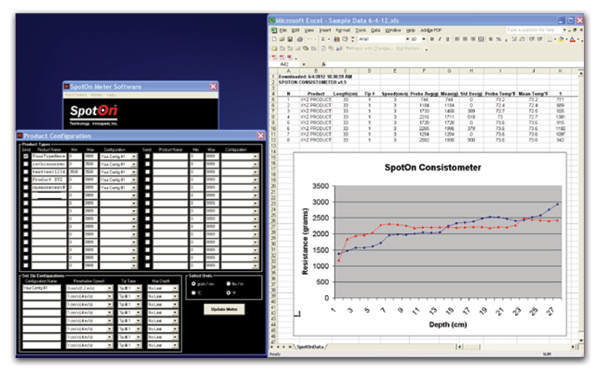 The SpotOn Consistometer is a powerful handheld tool for QA, trouble shooting and R&D in the food and other industries. 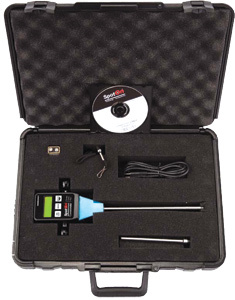 It bridges the gap between old analog measurements and full bench top texture analyzers. Precision force, depth and temperature sensors are combined with a microprocessor and digital readout enabling instant display of averages and standard deviation along with on-the-fly error checking for reliable results. Features include full data recording capabilities for PC based analysis and documentation. Precision load cell and non-contact depth sensor simultaneously measure penetration force and penetration depth, while sample temperature is also measured. Applications include consistency measurements for shortening, margarine, icing, dough, cheese, yogurt, peanut butter, jelly and more. Note: Custom Tips can be manufactured for Special Applications.